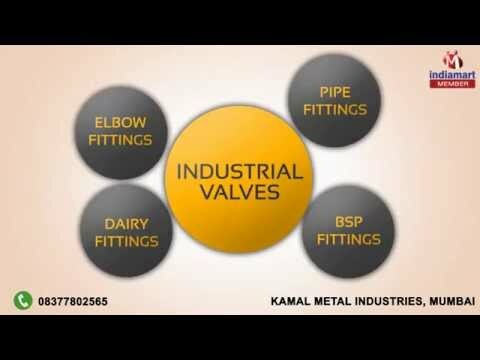 Welcome to Kamal Metal Industries, established in the 1982, we are among the prominent manufacturers, suppliers, traders and importers of a wide range of optimum quality Industrial Fittings. The product range offered is inclusive of optimum quality Pipe Fittings, Industrial Valves and Industrial Balusters. These products are manufactured from high quality stainless steel and other basis other material, which is sourced from trusted and reliable vendors of the industry. Offered by us at industry leading prices, the industrial fittings are known in the market for their rich attributes such as robust design, perfect finish, dimensional accuracy, durability and optimum anti-corrosive property. Available with us at industry leading prices, these products are highly demanded in the market. We are importing our products from China and Japan.